I love afternoon tea, it’s one of my favourite things. 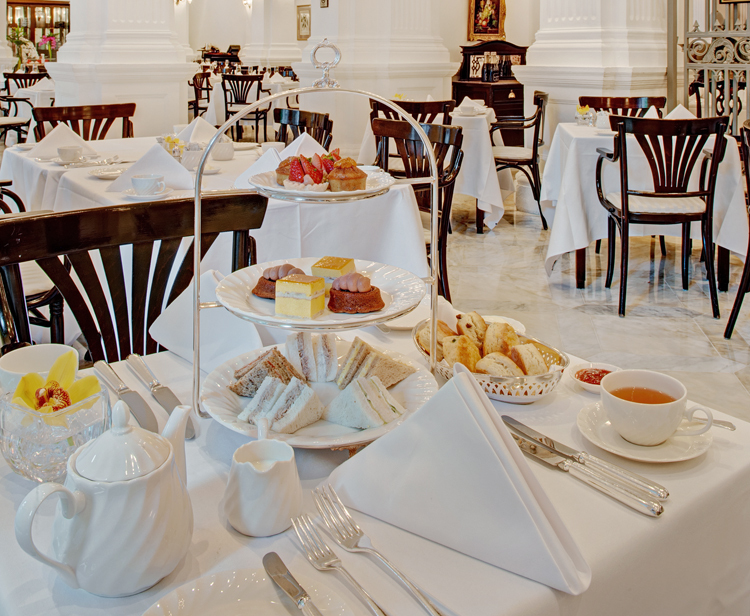 High tea at Raffles hotel in Singapore is on the bucket list of almost every traveller. This is one of the most famous hotels in the world. 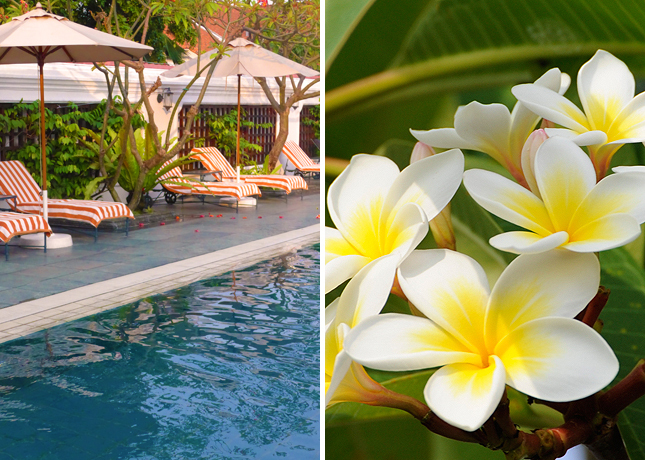 Think of a legendary hotel, and for many it is Raffles Singapore which will spring to mind. Way back in 1887, the Sarkies Brothers, Armenian proprietors of the Eastern & Oriental in Penang, announced in the press that they would open a ten-room hotel on the corner of Beach Road and Bras Basah Road, to be named after Singapore’s founder Sir Stamford Raffles. The rest is history. 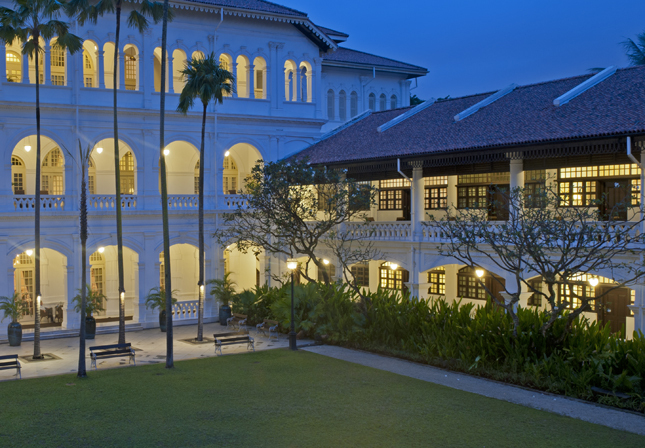 The Grande Dame hotel of the Far East, Raffles Singapore, was born on 1 December 1887. 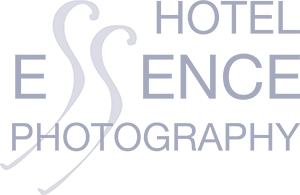 This is an unusual hotel in the fact that it is both a historic hotel and a national monument (as declared by the Singapore government in 1987); I have visited both as resident and non resident guest. 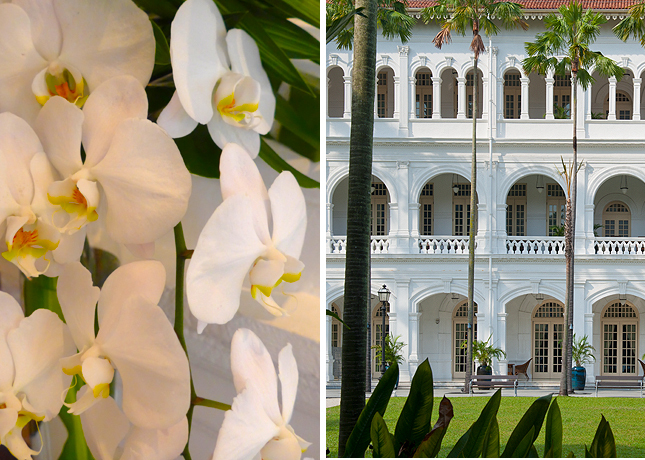 Raffles Hotel Singapore, declared a National Monument by the Singapore government in 1987. The two are very different, both an occasion; however on the latter, I must warn you that when you’re strolling in the gardens you may occasionally see curious monument-loving tourists standing on tiptoes to look over the wrought iron railings into the lush gardens. 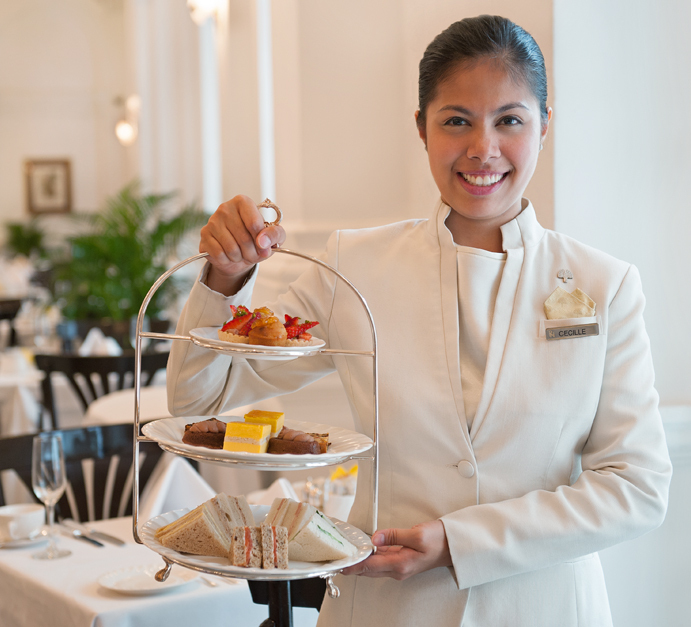 I´m a dreamer, Afternoon tea at Raffles is exquisite, however I do acknowledge that it is also a tourist attraction. On our first visit for Afternoon tea, my husband and I were comfortably seated in the high-ceilinged lobby, browsing the menu whilst we waited for another couple to join us. Ten minutes a later waiter approached us and informed us in low, discreet tones that our guests had arrived and could we meet them in the doorway. When we saw them, we realised the reason for his hushed intervention: here before us were two sunburned “Brits abroad” dressed for Bondi beach – he with a vest top, shorts and lobster-pink bare shoulders, and she in a low-cut top complete with pelmet skirt and flimsy flip-flops. Typical attire in Australia where they now live, but not in the formal dining room of a five-star luxury landmark hotel. We had never even thought to tell them about the dress code, and all four of us were escorted around the back to the more informal Raffles Courtyard, where such dress was acceptable. Our tea booking was cancelled and as we shared a pizza, I knew that in the far-away Tiffin Room, tea with cucumber sandwiches was being served on a three tier cake stand, fine china, English Gainsborough silverware and hand-embroidered napkins with a delicate palm motif. Thank goodness for those courtyard Singapore Slings – they saved the day. Three years later we returned to Singapore for an IT conference, and again we managed to obtain a reservation. But this time, the dress code wasn´t the problem. With so much technical talk in the Tiffin Room, the exquisite food was secondary to the conference. Afternoon tea is like the ritual of champagne and oysters – it needs to be consumed with someone who values the occasion as much as you, and the focus should be firmly on the food and the colonial location. On this occasion, the chatter even drowned out the dulcet tones of the harpist. We could have been in the canteen of an American department store. The techno talk aside, having tea as an outside guest isn’t quite the same – you find yourself drifting off to another land, peering and pontificating on the “Residents Only” signs leading to that inner sanctum of spectacular flower displays, frangipanis and dark highly-polished mahogany wood, out of bounds to the Tiffin Room day-diners. I was also very conscious that when the dining experience drew to a close, we would be back out into that jungle-like humidity and a not-so-temperate 40C. I did enjoy browsing the lavish buffet and reading all the labels, but it certainly will not go down as my finest afternoon tea experience. My third time I got lucky. The best and only way to enjoy afternoon tea, in my opinion, is as a resident. You can rest assured that after your tea, the rest of the hotel is not out of bounds to you – enjoy a leisurely swim or just chill in your room; the anticipation of what’s to come makes the food taste even better. This meal is a veritable banquet – you have everything from dim sum to dragon fruit and the traditional British bread and butter pudding with vanilla custard. It was perfect. 2. Reserve your afternoon tea table at check-in to avoid disappointment. Some people even book months in advance, so you may want to reserve when you make the reservation. 3. Enjoy breakfast but skip lunch Afternoon tea is a lot of food, as you can see from the menu above, so you need to work up an appetite in order to do it justice. As you can imagine, only the top pastry chefs work at Raffles. 4. Dress for the occasion “Dress Code: Smart casual; pool attire is not permitted; gentlemen should be in collared shirts, long trousers and closed-toed shoes” – in other words, no Tshirts, shorts or flip-flops please. 5. 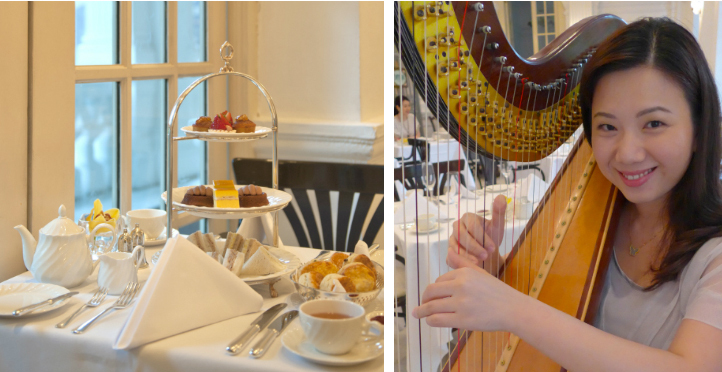 Dine with someone who loves afternoon tea and historic hotels as much as you. 6. Cape Diem – this is a treat, enjoy it; revel in your elegant, renowned surroundings – it’s not every day that you make it to Raffles.